Australian Nick Foster has finished second in the Blancpain GT Series Asia drivers standings while Lamborghini’s FFF Racing team claimed the title. Foster and co-driver Jono Lester (#27 HubAuto Corsa Ferrari 488 GT3) won Race 1 to narrow the former’s points gap to the leaders to five points heading into the finale. However, FFF’s Dennis Lind and Martin Kodric won the final race of the season to clinch both the team and driver titles. The #19 Huracan crossed the line 4.1s ahead of the #37 Absolute Racing Audi R8 LMS, with the next best Australian Mitchell Gilbert home in seventh in the #86 Audi following a sixth place result in Race 1. 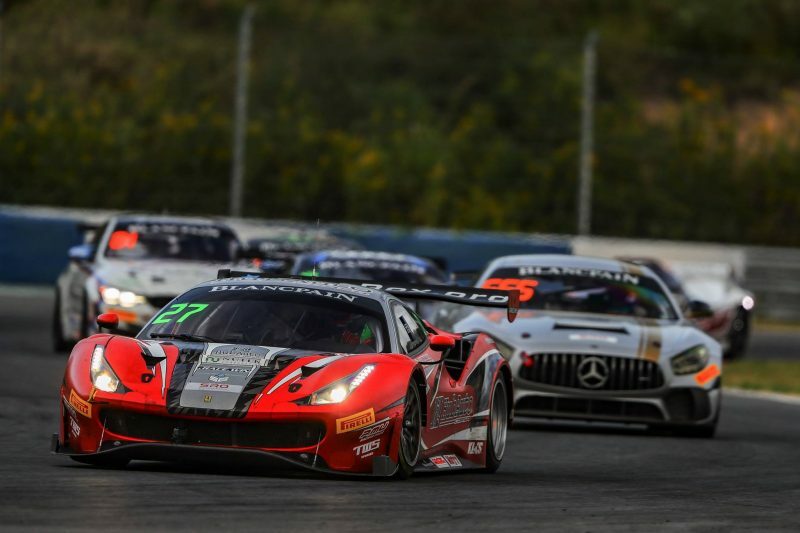 Foster/Lester were 10th in Race 2, three positions ahead of team-mates Tim Slade/Morris Chen (#28 Ferrari 488 GT3), after Slade had run second and Foster third in the early stages. Darryl O’Young and Aidan Read in the #991 Craft-Bamboo Racing Porsche were ninth in Race 1, however suffered a DNF in the second encounter. AMAC Motorsport placed 13th in Race 1, with the Andrew Macpherson/William Ben Porter duo 14th in Race 2. The sister #911 Craft-Bamboo Racing entry of Shae Davies and Sandy Stuvik were not classified in either hit out, while Australian outfit M Motorsport brought their KTM X-Bow home third GT4 class in Race 1 but didn’t make it to the flag in the finale. 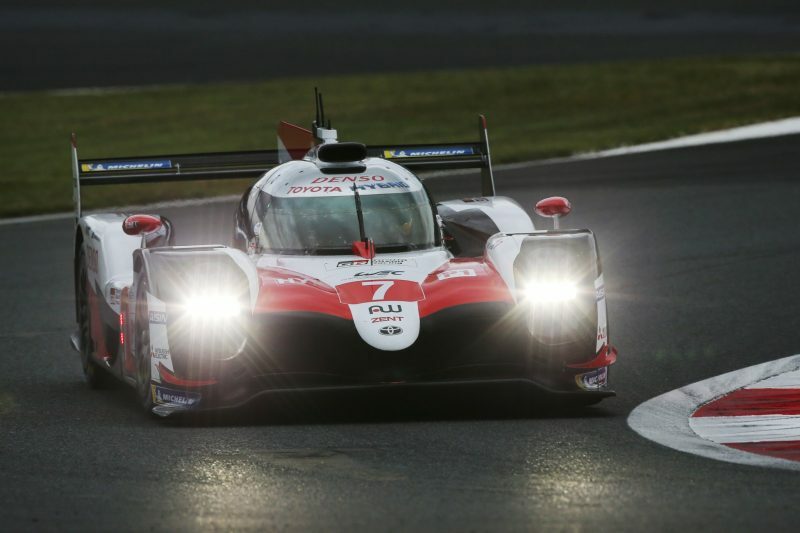 Toyota Gazoo Racing were victorious in the World Endurance Championship 6 Hours of Fuji as the #7 TS050 Hybrid of Kamui Kobayashi, Mike Conway and Jose Maria Lopez crossed the line first. Conway took the lead away from the sister #8 at the halfway point of the race, with the Japanese manufacturer bagging its third one-two result this season four laps ahead of the third-placed #1 Rebellion Racing entry. The LMP2 victory went to the #37 Jackie Chan DC Racing car, while Porsche doubled up in the GTE classes with the #92 911 RSR clinching the GTE-Pro win in front of the #82 BMW M8 and #67 Ford GT. Team Project 1 claimed the GTE-Am class honours with their #56 Porsche, while the Matt Campbell driven #77 Dempsey – Proton Racing Porsche finished eighth in class, multiple laps down after encountering electrical issues. James Allen, the only other Australian in the field, stopped on track in the #10 Dragonspeed LMP1 car in the final hour and did not make the chequered flag. The World Endurance Championship heads to China next for the 6 Hours of Shanghai from November 16-18. 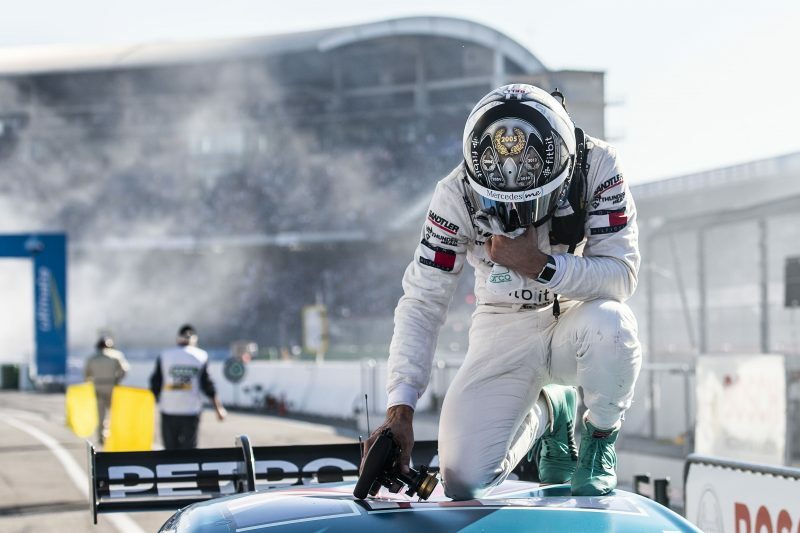 Gary Paffett was crowned the 2018 DTM champion while Rene Rast pulled off another clean sweep at the Hockenheimring season finale. A third place finish in Race 2 was enough for Paffett to secure the crown in Mercedes’ last race, the Brit’s second since he won the title in 2005. Rast managed to beat Paffett to the Race 1 victory after an impressive battle at the head of the field before the latter slipped to fourth at the flag. Robin Frijns and Timo Glock completed the top three for Audi and BMW respectively. In the final race, Rast cleared off early and comfortably claimed what is a record sixth consecutive race win ahead of Marco Wittmann (BMW) and Paffett. Paul di Resta entered the weekend with an outside chance at the title but only finished eighth and 14th in the respective encounters, extinguishing his championship hopes. 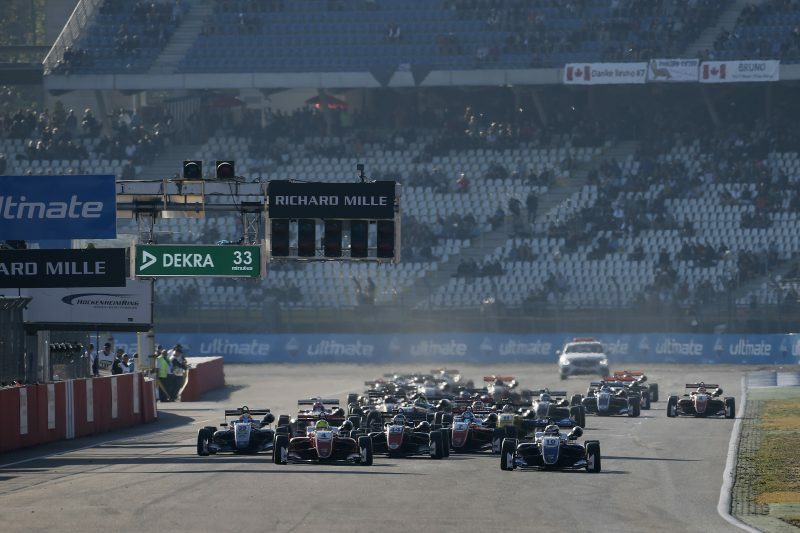 Robert Shvartzman ended the year in style by taking a dominant win in the FIA Formula 3 European Championship finale at the Hockenheimring. Mick Schumacher sealed the title a day earlier with a second placing in Race 2 of the weekend. The Prema Powerteam driver grabbed a second place finish in the last race of the season as Shvartzman finished 10.5s up the road. Alex Palou held onto third after a late squabble with Ralf Aron, while Red Bull junior Dan Ticktum completed the top five. New Zealander Marcus Armstrong suffered a DNF, ending up fifth in the championship standings. The Scuderia Praha Ferrari 488 GT3 of Jiří Písařík, Josef Kral and Matteo Malucelli won the 12 Hours of Spa-Francorchamps while the all-Australian MARC Cars entry endured a tough outing. 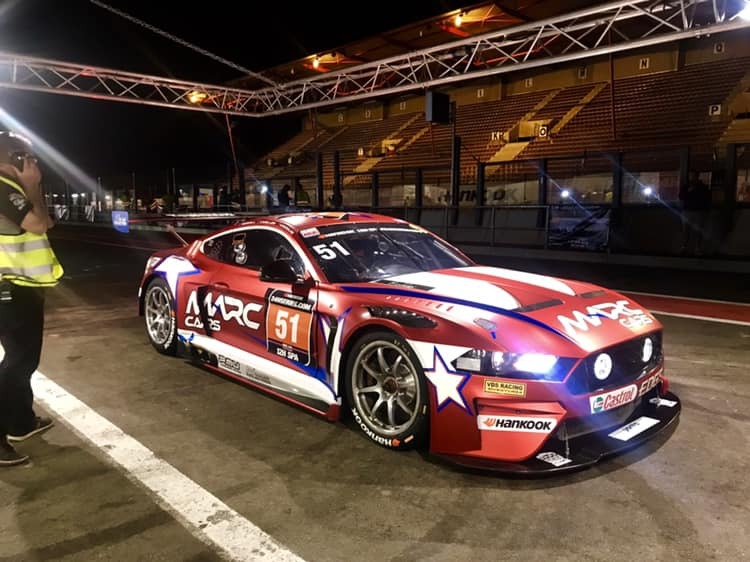 Jake Camilleri, Hadrian Morrall and Keith Kassulke ended the race third in the SPX class in the #51 MARC II Mustang V8, however, a DNF after contact with another car left them nearly 30 laps off the class winning all Belgium #58 MARC car. At the head of the field, the Scuderia Praha Ferrari outfit crossed the line four minutes ahead of the next best car, which was the #16 SPS Automotive Performance Mercedes-AMG GT3, while the #34 Car Collection Motorsport Audi R8 LMS GT3 completed the top three. The next race for the 24H GT Series takes place in the United States with the 24H COTA from November 16-18. Charlotte Poynting finished a best of seventh on debut in the SsangYong Racing Series at Hampton Downs Motorsport Park. She ran as high as second in Race 3 but made a mistake while trying to make a pass for the lead, dropping her to seventh. A spin in Race 1 while running in the seventh spot again saw her drop down the order earlier in the weekend, before she recovered to seventh in Race 2 and battled to the front in the third race. Poynting’s gear stick completely snapped off at the start of Race 4 which slowed her down for the remainder, but the Novocastrian fought back to eighth at the flag. Callum Hedge dominated the weekend taking out all four races, with the SsangYong Racing Series off to Pukekohe Park Raceway next for Round 2 from December 8-9. 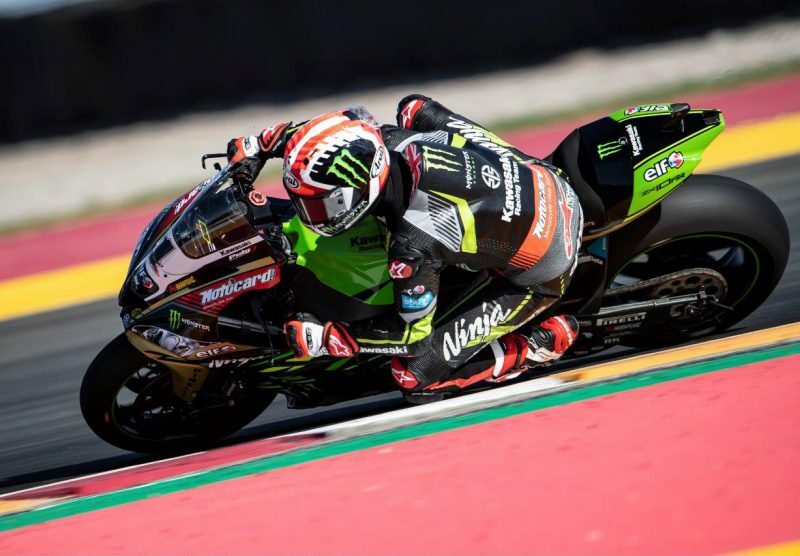 Jonathan Rea became the first World Superbike rider to win 10 successive races in one season dominanting both races in Argentina despite having an illness. Rea (Kawasaki Racing Team) comfortably took out Race 1 after making the most of a mistake by Marco Melandri (Aruba.it Ducati), who finished second from Toprak Razgatlioglu (Kawasaki Puccetti Racing), Xavi Fores (Barni Ducati) and Eugene Laverty (Milwaukee Aprilia). In Race 2, Rea went from Row 3 on the grid to the lead by Lap 8 and fended off pole-sitter Fores, who started from first, before stretching away out front and taking home the win. Melandri finished third ahead of Chaz Davies (Aruba.it Ducati) and Tom Sykes (Kawasaki Racing Team). The final round of the 2018 World Superbike season takes place at Qatar’s Losail International Circuit from October 25-27. Recently crowned FIA World Rallycross champion Johan Kristoffersson claimed his 10th victory in 11 rounds at the World RX of Germany. The Final was put under a red flag after Peugeot driver Kevin Hansen had a sizeable crash on Lap 4 and was subsequently taken to hospital. Kristoffersson made the best restart ahead of Audi’s Mattias Ekstrom and Andreas Bakkerud. 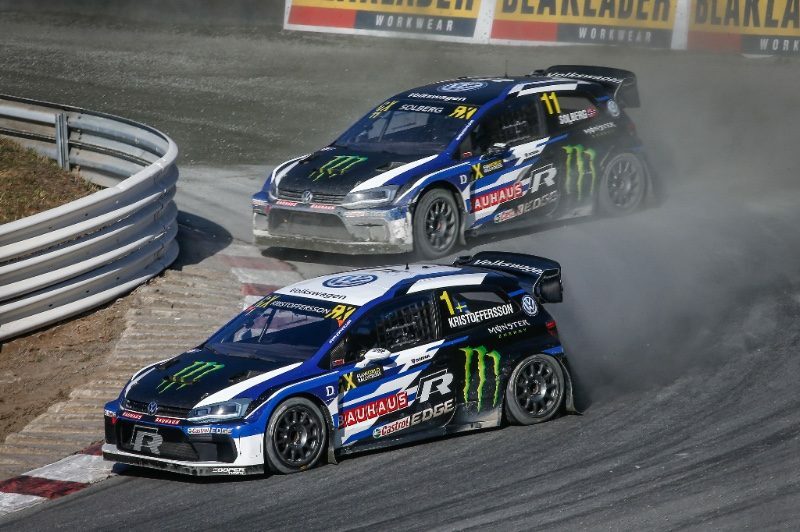 The top three remained unchanged at the flag, despite Kristoffersson and Ekstrom taking their joker laps on the final tour, with Volkswagen sealing the Teams’ championship. South Africa hosts the final FIA World RX event of the season from November 24-25. 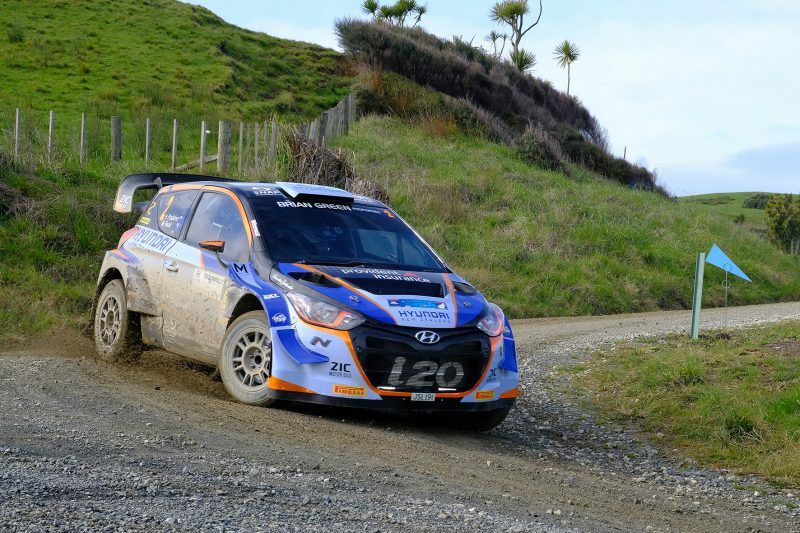 Hayden Paddon has won the final round of the Brian Green Property Group New Zealand Rally Championship in Raglan, near Hamilton. Paddon won all eight special stages in the single-day event alongside stand-in co-driver Malcolm Read. The win was the Hyundai driver’s fifth in as many starts in domestic competition this year, having missed one round due to World Rally Championship commitments. Ben Hunt (Subaru) was nearly five-and-a-half minutes behind in second and Josh Marston (Holden) finished third.